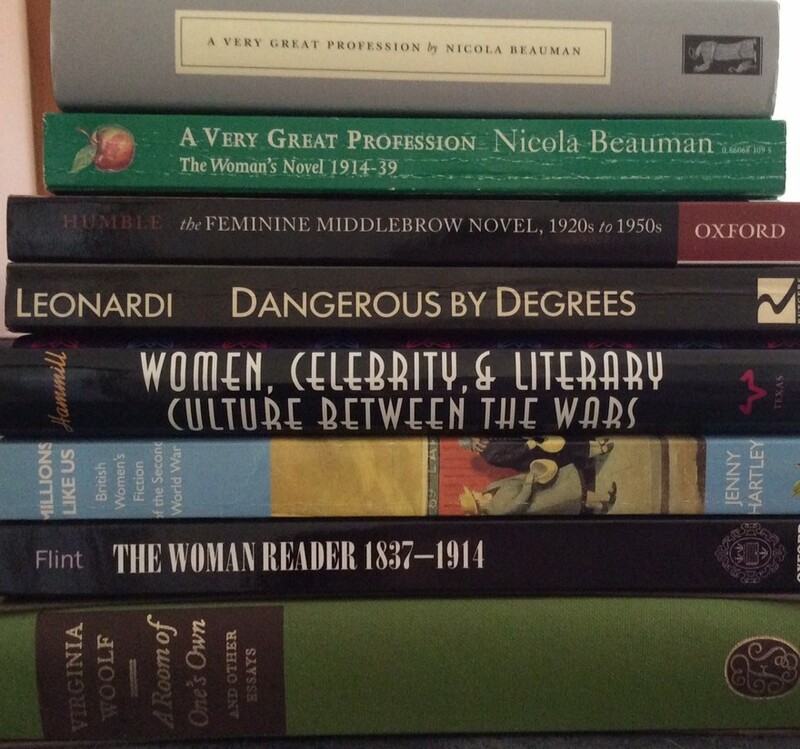 I've collected a few more literary links & interesting articles to share. The most exciting news I've heard for ages is that Scott from the blog Furrowed Middlebrow is partnering with Dean Street Press to launch his very own imprint, Furrowed Middlebrow Books. Here's the revelation of the colophon for the new imprint & here's the announcement of the first of three authors to be reprinted - Rachel Ferguson. Scott will be reprinting three of Ferguson's novels - A Footman for the Peacock, Evenfield & A Harp in Lowndes Square - & you'll find more information on all three books plus Scott's enthusiastic reviews on his blog. Dean Street Press have done such a great job of resurrecting unfairly neglected Golden Age crime writers that I'm sure they will be the perfect partners for Scott's new venture. I can't wait to find out who the other two launch authors will be. I have my fingers crossed for more Winifred Peck. Edited to add : I was right! I can't wait, especially for the mystery novels. I love articles written by experts (or obsessives) who look at a book & can only see their special subject in it. 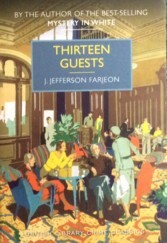 This article from the Cricket Country website reviews the British Library Crime Classic reprint of Thirteen Guests by J Jefferson Farjeon entirely in terms of the cricket references. A couple of weeks ago, ABC Classic FM revealed the Top 100 Voice over the Queen's Birthday long weekend. Every year they compile a different Top 100, voted on by listeners & this year it was the voice - opera, choral, folk song. I didn't enjoy it as much as previous years because I don't enjoy opera so a lot of it didn't interest me as much as previous years when they've featured Baroque & Before, the Concerto or Mozart. However, we're also coming to the end of a mammoth eight week election campaign & this little bit of promotion for the countdown made me smile. I don't think you need to know who the politicians are to recognize the species. I've become aware of the very definite ideas that readers have about translation lately. I'm reading The Tale of Genji in Royall Tyler's translation but I know that there are devoted partisans of other translations. Mirabile Dictu discusses it here. Janet Malcolm has also recently written an article about translations of Tolstoy's Anna Karenina. 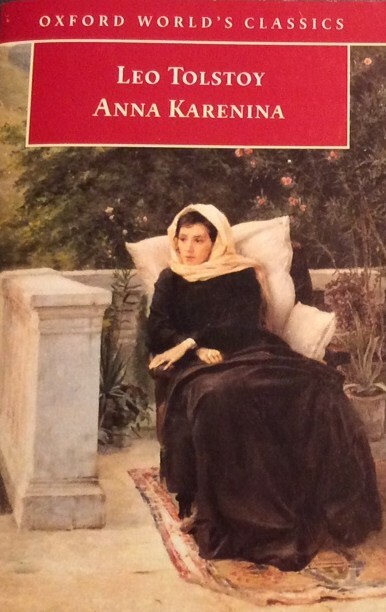 The fans of the Constance Garnett or Maude translations are passionate about their choice & I was interested to read more about the dislike of some critics (including Janet Malcolm) for the Pevear & Volokhonsky translations of the Russian classics. 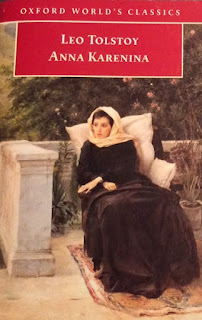 All the discussion & discord has made me want to read Anna again. I read it first in my teens, influenced by the BBC TV series with Nicola Pagett, Eric Porter & Stuart Wilson. I'm still very fond of this adaptation (even though a friend to whom I loaned the DVDs laughed at the fake beards). 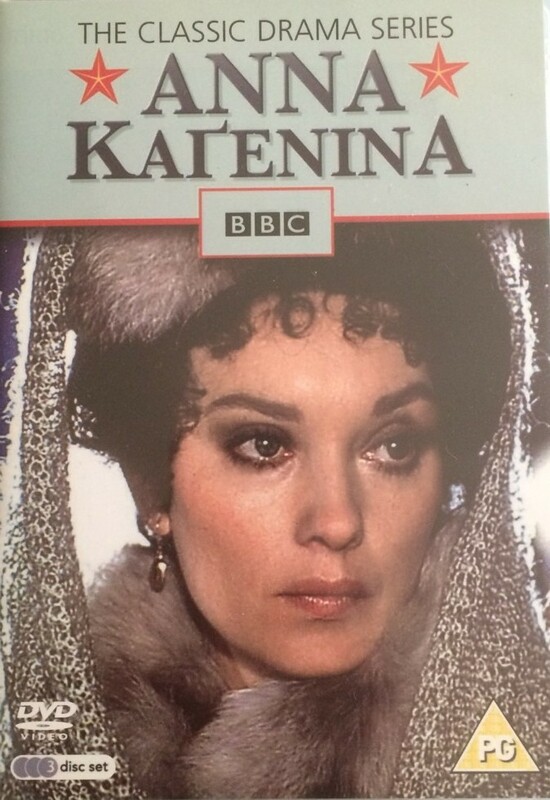 It was the TV tie-in edition & I think it was the Constance Garnett translation. I also heard Tchaikovsky's Manfred symphony on the radio the other day & that reminded me of the series as well because it was used as the theme music. The next time I read it was this OUP edition translated by Louise & Aylmer Maude. Now I'm tempted by the new OUP edition translated by Rosamund Bartlett. Here is Bartlett discussing whether a new translation is even needed & here's a review of several of the newer translations. 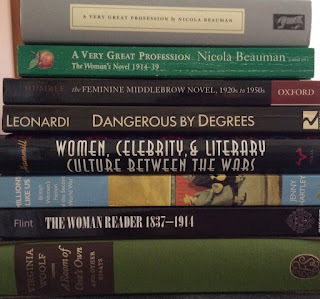 Finally, I really like Elaine Showalter's idea of celebrating Virginia Woolf's Mrs Dalloway with Dallowday to compete with James Joyce & Bloomsday. Clarissa Dalloway's party took place on June 13th 1923 so why shouldn't it be as celebrated as much as Leopold Bloom's walk around Dublin? Frankly the food would have to be more appealing than kidneys on toast, Gorgonzola sandwiches & Guinness. We might even be offered cucumber sandwiches & a cup of tea - much more to my taste. 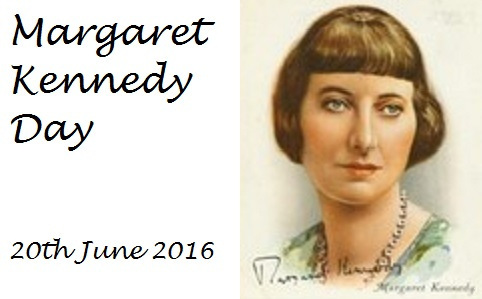 I'm going to feature my favourite poems over the next few weeks. 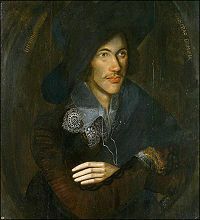 John Donne has always been a favourite, one of the few writers that I still love after studying them at school (John Steinbeck didn't survive this test). When I think of this poem, A Valediction, Forbidding Mourning, I always hear Richard Burton reading it. For certain men the stronger their desire, the less likely they are to act. Lack of self-confidence holds them back, they are terrified of giving offence. Moreover, deep affections are like respectable women; they are afraid of being found out and go through life with their eyes cast down. Frédéric Moreau is a romantic young ditherer. Sent by his mother to stay with a rich uncle, with a view to being mentioned in his will, he is returning home with no definite plans & no promise of an inheritance. On the journey home, Frédéric falls in love at first sight with Madame Arnoux, wife of an art dealer. All he can think about is getting to Paris to pursue her. He goes to Paris to study law, visiting Arnoux in his shop but unable to either declare himself to Madame or to stop visiting. His schoolfriend, Deslauriers, comes to Paris & they share rooms, mostly at Frédéric's expense. Through Deslauriers, Frédéric meets a group of radical writers & artists. His studies suffer & he still hasn't made an impression on Madame Arnoux. Frédéric returns home discouraged & already half-forgetting Madame but then receives a letter informing him that his uncle has died intestate & he has inherited a substantial fortune. Immediately, all his plans for a sober provincial future are overturned. He's desperate to return to Paris. His mother thinks that a political or diplomatic career will now be open to him & urges him to make the acquaintance of the local landowner, Monsieur Dambreuse. Frédéric's return to Paris leads to a whirl of partying & he meets a courtesan, Rosanette, known as the Maréchale, who is Jacques Arnoux's mistress. Maréchale is attracted to Rosanette but still yearning for Madame Arnoux. The company of these two women made a sort of twofold music in his life: one was playful, violent, entertaining; the other serious and almost religious. And the two melodies playing at the same time steadily swelled and became gradually intertwined. For if Madame Arnoux brushed him with her finger, the image of the other woman appeared before him as an object of desire, because he had more of a chance with her. And when in Rosanette's company his emotions happened to be stirred, he immediately remembered his one true love. His friendship with the Arnouxs leads him into financial commitments & Deslauriers is also pressuring him to invest in a radical newspaper. Frédéric becomes almost a companion to the Maréchale, taking her to the races, paying for her portrait to be painted but he is not her lover, he's too timid to demand more than a few kisses. The Maréchale is offended by his apparent lack of interest but she's juggling several lovers so just accepts his companionship & his presents. Frédéric is invited to the Dambreuse's home & he is impressed by the splendour of their lifestyle but he fails to take up any of Dambreuse's suggestions or invitations to invest with him & so again, he drifts along. When he does make money on an investment, he waits too long to sell his shares & loses again. His income diminishes & he continues to sell property while he loans money to Arnoux, who has sold his art dealership & is now running a porcelain factory. Frédéric's options are to find work, to spend less, or to make a rich marriage. Frédéric's mother wants him to marry Louise Roque, the daughter of Monsieur Dambreuse's agent. Louise has been infatuated with Frédéric since she was a child & she is now a woman & an heiress. Again, he dissembles & can't commit himself to Louise while he's still in love with Madame Arnoux & lusting after the Maréchale, whom he finally makes his mistress. Marie Arnoux has discovered her husband's infidelities & she realises that she has fallen in love with Frédéric & then Madame Dambreuse, a haughty but attractive woman, begins to take an interest in him as well. Frédéric sees her as a challenge & the fact that she's wealthy is an added incentive. He read her pages of poetry, putting all his soul into it, to move her and to win her admiration. She would stop him with a critical remark or a practical observation; and their conversation reverted constantly to the eternal question of Love. They wondered what occasioned it, whether women felt it more than men, what were the differences between them on that subject. Frédéric tried to express his opinion, avoiding both vulgarity and banality. It became a kind of battle, pleasant at times and tedious at others. 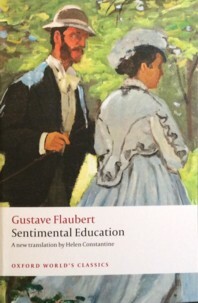 Frédéric's sentimental education begins conventionally enough - a young man falling in love with the first attractive older woman he meets - but it takes many twists & turns & although he's meant to be receiving an education in love & life, Frédéric seems to learn very little through the course of the novel. Will he be able to take the happiness that he's wanted for so long? Or will his constant indecision be his downfall? Maybe Frédéric's experiences are more realistic than those of many characters in fiction who seem to have a plan for their lives. All Frédéric's plans go awry which may be more true to life where plans often fall apart & leave a mess that has to be lived with. Sentimental Education is a funny, cynical portrait of French society in the years leading up to the 1848 Revolution. Frédéric's inability to make a decision about anything & his misunderstandings with everyone he meets are amusing but also frustrating. His idealism leads him into one mess after another as his motives are misrepresented time & again. Madame Arnoux sees him as a kind young man; Arnoux as his friend who is helping to keep the knowledge of his affairs from his wife; the Maréchale sees him as a ready source of fun; Louise sees him as a chivalrous hero of romance; his mother sees him as a future Cabinet Minister. He lurches from one disaster to another either financial or romantic. He fights a ridiculous duel over an insult to Madame Arnoux but the Maréchale thinks he's saving her reputation while Arnoux thinks it's in his defence. There are some great set scenes - the day at the races, the dinner party at the Dambreuses, the duel, the party where Frédéric first meets the Maréchale - that contrast with the poverty of students like Deslauriers & the journalists & artists in his circle. Then there's the radical element, men like the engineer Sénécal who is arrested for conspiring to assassinate King Louis-Phillippe. As the 1848 Revolution unfolds, Frédéric becomes even more of a bystander to events as he & the Maréchale escape Paris for a country idyll that can't last. His desire for approval from his friends paralyses him & whatever moral strength he may once have had just slips away as he juggles mistresses, potential wives & possible careers. In one farcical scene, he only just prevents Madame Arnoux & the Maréchale from meeting in his rooms & his selfishness is exposed in his relations with both Louise Roque & Madame Dambreuse as well as his remoteness from the political concerns of his friends. It's a fascinating novel & it's good to be able to read more Flaubert who is mostly remembered now for just one book, Madame Bovary. Oxford University Press kindly sent me a review copy of Sentimental Education in a new translation by Helen Constantine. 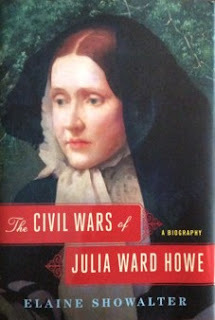 I was reminded of Sarah Orne Jewett last year when I read Willa Cather's Letters. 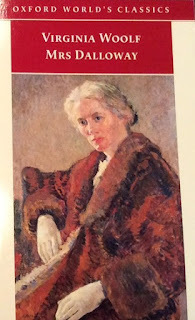 I'd read her most famous novel, The Country of the Pointed Firs, years ago but I'm interested in New England writers so I bought a copy of her first novel, A Country Doctor. Adeline Thacher is a wild young woman who leaves her mother's farm in rural Maine to go to the city. 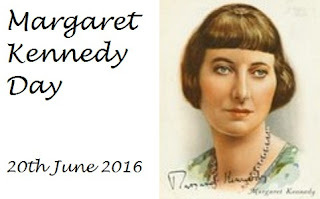 She meets a well-to-do young man, marries him &, after his death, rejects his family who have always disapproved of her. Desperately ill, she makes her way back to her home & collapses on the doorstep of her mother's farm with her baby in her arms. Adeline dies the next day & the little girl, Anna (called Nan), is brought up by her grandmother. Before Adeline dies, she asks the local doctor to be Nan's guardian. Long ago, when Nan had confided to her dearest cronies that she meant to be a doctor, they were hardly surprised that she would determined upon a career which they would have rejected for themselves. She was not of their mind, and they believed her capable of doing anything she undertook. Yet to most of them the possible and even probable marriage which was waiting somewhere in the future seemed to hover like a cloudy barrier over the realization of any such unnatural plans. A woman's place is at home. Of course I know there have been some women physicians who have attained eminence, and some artists, and all that. But I would rather see a daughter of mine take a more retired place. The best service to the public can be done by keeping one's own house in order and one's husband comfortable, and by attending to those social responsibilities which come in our way.The mothers of the nation have rights enough and duties enough already, and need not look farther than their own firesides, or wish for the plaudits of an ignorant public. A Country Doctor is such an interesting novel, especially given the autobiographical elements of the story & the time in which it was written. It was published in 1884 & was based, in part, on the author's early life. Jewett's father was a doctor & she spent a lot of time accompanying him on his rounds as Nan does with Dr Leslie. She was an outdoors child although not as willful as Nan. 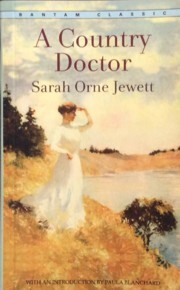 Dr Jewett seems to have been the model for Dr Leslie, a brilliant doctor who could have made his name in a big city practice but chose to spend hi life in rural Maine. 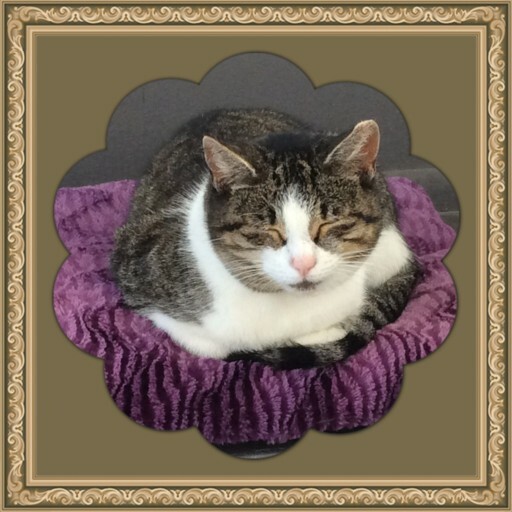 Sarah may have thought about a career in medicine but her health was often poor & she may have felt that she wasn't up to the demands of such a life. Medicine was only barely possible as a career for women in the 1880s. Elizabeth Blackwell had qualified as a doctor in 1849, the year Jewett was born, but it was a long, hard road to acceptance for her & the other women who followed. Maybe Nan's plans were in the nature of wish fulfillment for Jewett. It was surely unusual to have a novel of the 1880s about a young woman determined to follow a career. Nan has truly combined the best qualities of both her families & some of the contemporary reviews point to Nan as a role model for young girls. The picture of the rural community of Oldfields & the surrounding farms is beautifully drawn & the descriptions of the natural world are lovely & full of minute observation. The book begins a little uncertainly & takes a while to decide on its tone. The first chapter describes Adeline's desperate journey to her mother when she even considers throwing herself & Nan into the stream in her struggle. Then, we meet Mrs Thacher & her neighbours, Mrs Martin & Mrs Jake Dyer, talking about old times & frightening themselves with ghost stories when they hear a noise at the front door. The next chapter takes us to the Dyer farm where twins Martin & Jake Dyer enjoy an evening without their wives. It seems that rural comedy will be part of the story. However, once Mrs Dyer rushes in with the news of Adeline's return & sends her husband for the doctor, the Dyers fade into the background & just have walk-on parts in the rest of the novel. The contrast between Nan's two worlds shows just how much of a struggle she has to decide on her future. As she becomes involved in her father's world, becomes fond of her aunt & falls in love with George, Nan can see the possibility of a different life. The scenes where Miss Prince tries to influence Nan while she tries to pull back are very effective. George is a bit of a cipher, a bit of a ditherer who is nonplussed by Nan's proud determination. On a trip on the river, Nan & George come across a labourer with a dislocated shoulder. Nan competently pushes the joint back into place without fuss while George looks on feeling a bit squeamish. He's just not in her league although she does love him & finds her decision difficult. I really enjoyed all the characters from kind Dr Leslie & prickly Marilla to lonely Miss Prince & chatty, nosy Captain Parish. Sarah Orne Jewett knew & loved Maine & I'm looking forward to reading more of her stories as A Country Doctor was such a delight. 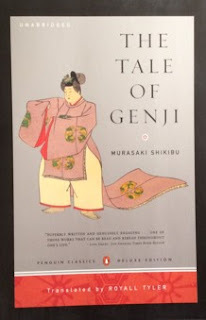 I started reading The Tale of Genji on Friday night & I'm enjoying it very much. My only problem is that the book is so heavy. As soon as I sit down in this chilly weather, either Lucky or Phoebe are waiting to jump up on my lap. 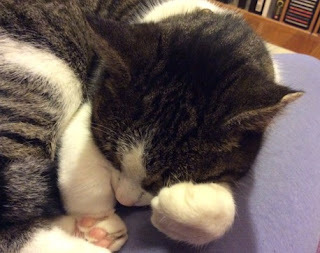 I managed nearly two hours unencumbered reading time yesterday though as both cats were fast asleep. I'd been out shopping, did some housework & they were both still snoozing - Lucky under her blanket & Phoebe curled up on my bed - so I made myself a coffee & settled down with Genji. I've read about five chapters & I'm starting to recognize characters & feel in tune with the style. I deliberately didn't read the Introduction & background in my edition as I just wanted to plunge in. I may go back & read all that now that I've made a start - maybe next time the girls are asleep? The characters converse in very formal, circumscribed ways, often through two line poems. At the age of 17, Genji, the son of the Emperor & a very beautiful young man, has fallen in love with Utsusemi, the wife of an official. She is horrified by his advances & only piques his interest more by being so elusive. He recruits her young brother to his household so that he will be able to use him as a go-between. One of the poems he sends her refers to the robe he has taken from her room & which he keeps with him as a keepsake, as a cicada shell. my longing still goes to her, for all I know her to be. secretly, O secretly, these sleeves are wet with my tears. I love reading big books, especially in winter. 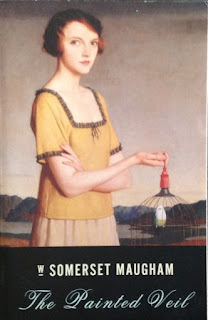 Last winter, I read Sigrid Undset's Kristin Lavransdatter, & I loved it. It was one of my Top 10 books of the year. 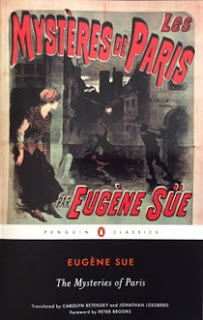 This year, the plan was to read the new translation of Eugene Sue's The Mysteries of Paris, with my 19th century bookgroup. However, that read has been postponed for a few months & may end up being my long summer read instead. I've just started listening to Volume Two of Gibbon's Decline and Fall of the Roman Empire, but that will probably be a year-long project as there are six volumes lasting about 130 hours. So, I've been trying to decide what my big winter read should be this year. 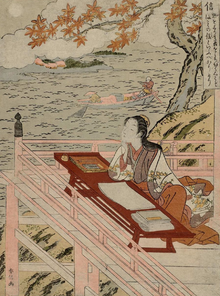 I thought it might be Samuel Richardson's Clarissa (& almost bought a second hand copy of the Folio Society two-volume edition on impulse) but, on reading about The Tale of Genji by Lady Murasaki on Mirabile Dictu's blog here & here over the last few weeks, I think this may be the book. I have this lovely Penguin Deluxe edition in the translation by Royall Tyler. Mirabile Dictu discusses the various translations but I'm just going to plunge in & see how I go. Has anyone read Genji?